If you are a working individual then there may be several instances when you may want to leave your job. 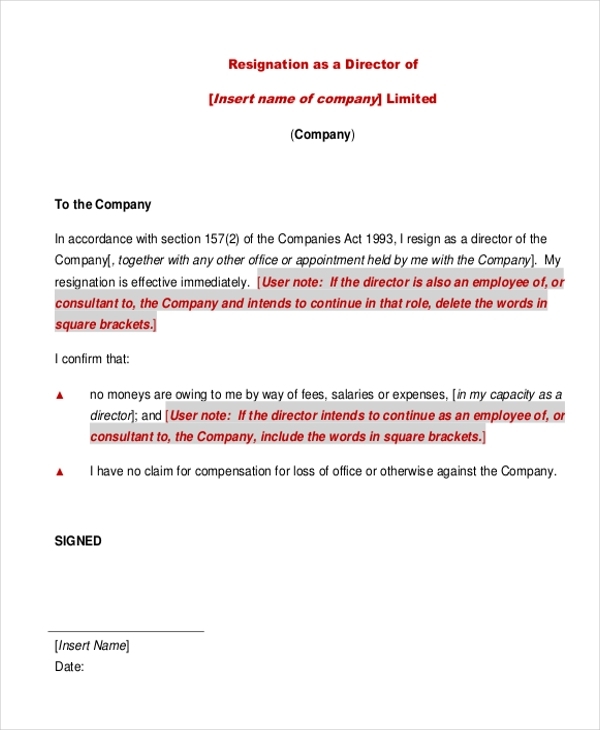 A resignation letter is then required to be written or typed to the designated authority to announce your job termination formally. 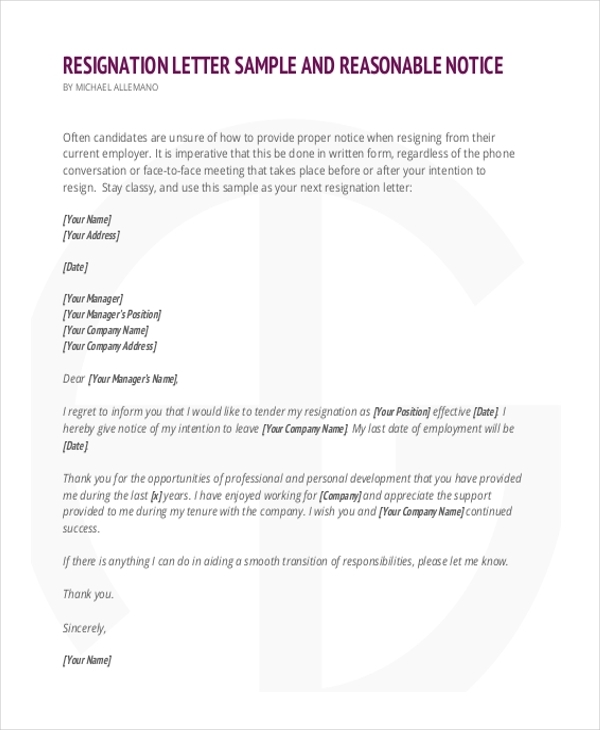 If you too are planning to resign your job then a sample resignation letter would be the best option for you to write a resignation letter quickly and easily. With these samples you just need to make an edit to add desired text which will only take you a few minutes. So check out all such Sample Letters available for download. 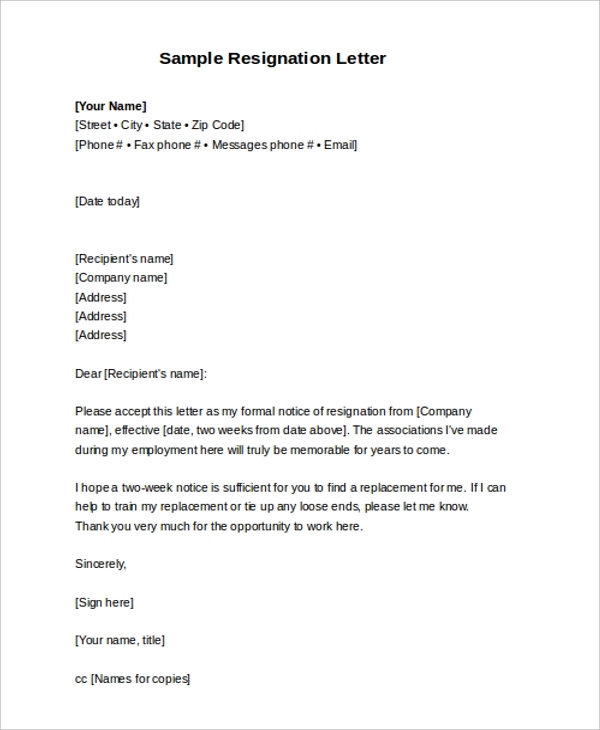 Check out this sample 2 weeks’ notice resignation letter that would definitely help you in writing professional and polite resignation letter conveniently and quickly. Available in PDF and can be customized easily. Want to resign from your teaching job? Here is the sample resignation letter that you would find useful to write your resignation letter professionally. Get customized to write as per your own words. 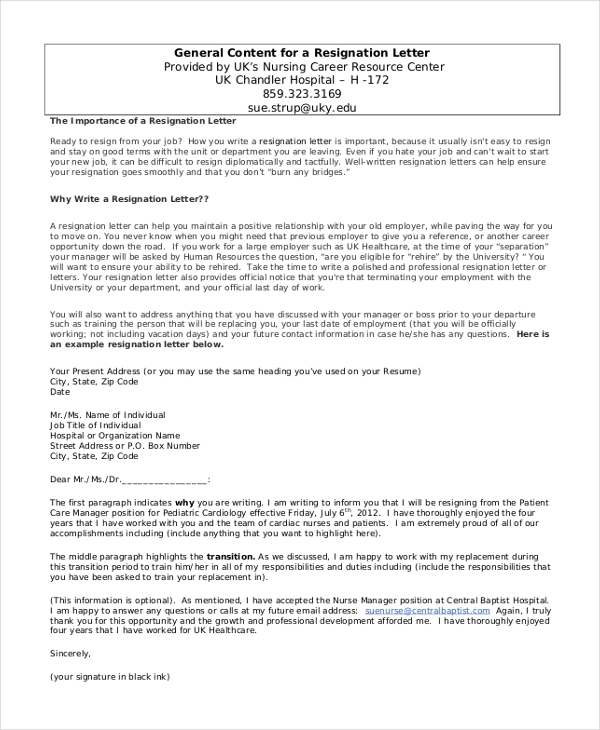 Get this nurse sample resignation letter sample downloaded for you and write a professional resignation easily and quickly. Get this format downloaded online and customize with your personalized text. Download now. 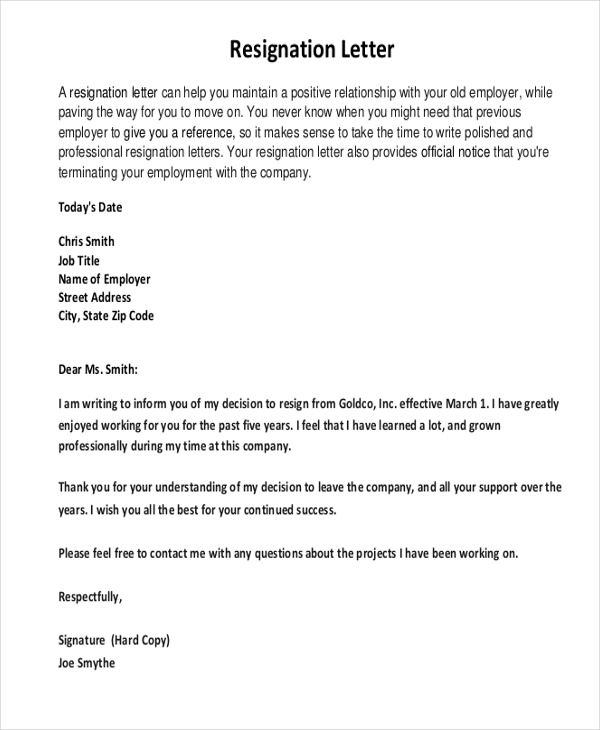 Here is another sample resignation letter ideal to help you write a perfect and professional resignation letter for announcing the termination of your job formally. Get this sample customized with your personalized text, signature, address and all. 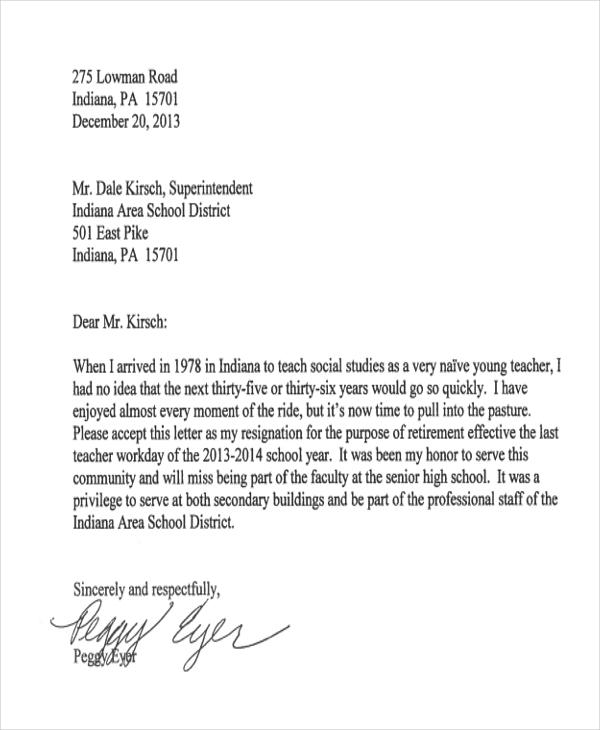 Here is another professional resignation letter sample that you would find really helpful in writing resignation letter quickly. This sample is available in PDF format and can be customized as per your personalized details and desired text. Looking to resign from director’s position? Get this sample resignation letter downloaded that is created especially for the resignation of a director. Available in PDF format and can be customized quite easily in minutes. Get this another resignation letter sample created to help individuals write professional resignation letters quickly. This sample resignation is available in PDF format and can be customized quite conveniently. Download now. What are The Utilities of Sample Resignation Letters? As the name suggests, resignation sample letters offer you a quick, simple and easiest way to create professional resignation letter to formally announce you resign from your service. Writing a resignation letter can be confusing and time-consuming as most of the time it becomes difficult to decide what to include in the letter and what not. That’s why sample resignation letters are utilized as these come pre-designed and written as per particular type. In most of the samples, you will need not to alter the text. There may also be certain samples that simply offer a format to write a resignation letter. You need to write the complete body yourself because the body include will just be a kind of instruction. You can also see Formal Letters. 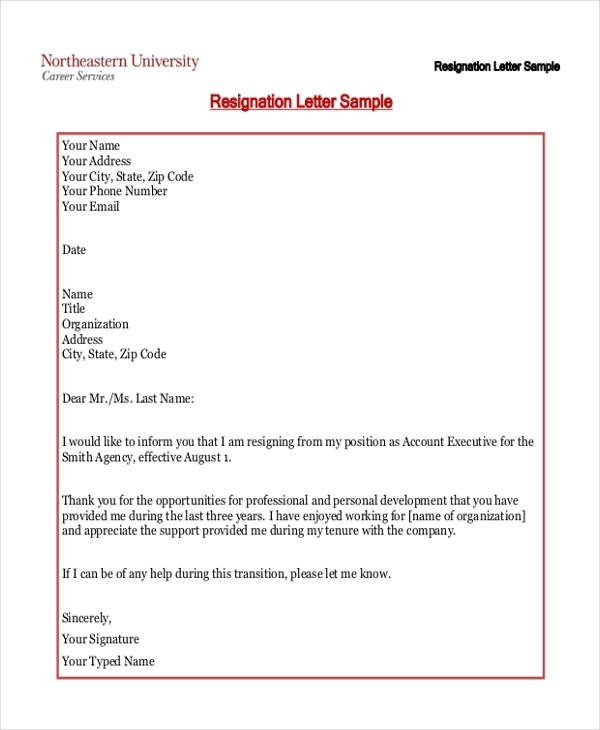 What are The Benefits of Sample Resignation Letters? There are countless benefits of sample resignation letters that you can enjoy, a few of which are as follows. The major advantage of these samples is that these come well organized and formatted in advance thus help to save your time that you otherwise would need for creating resignation letter format from scratch. While writing letter manually, one may miss important points to include in the letter because of heavy formatting required and all, but with the use of these samples, you would never miss writing any necessary point ever. Profile wise this sample resignation letter help you to write most relevant and logical resignation letter without much efforts and wastage of time. If you are planning to wind up your services to any organization or department, then these sample resignation letter would really help you in writing most accurate, effective and impactful resignation letter in comparatively less time. You may also find different kinds of sample letters like recommendation letter and more in online to meet various business or professional needs. You may also see HR Letter Forms.